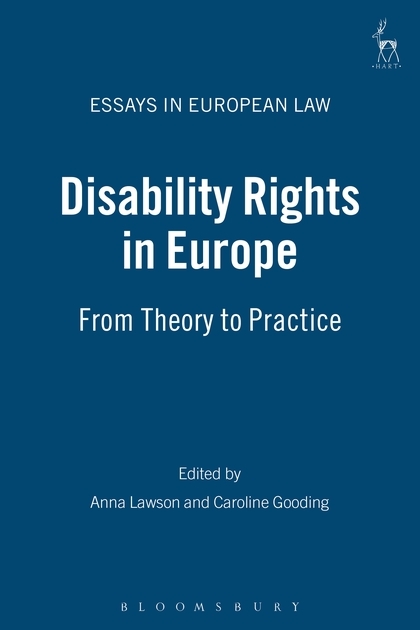 This book is based on a conference organised jointly by the editors to mark the European Year of Disabled People. 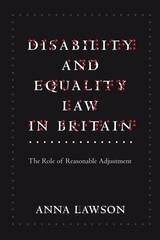 It explores the range of legal strategies which have been adopted,both nationally and internationally, to achieve equality for disabled people and facilitate their inclusion into mainstream society. It examines current developments in anti-discrimination law, both within Member States and at EU level. 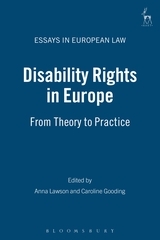 It also assesses the effectiveness and potential of the human rights framework for disabled Europeans. In addition, a number of approaches to the enforcement and promotion of disability rights are considered. Contributors to this book, drawn from across Europe, represent a variety of different backgrounds. They include leading academics in the field, as well as campaigners and others working to improve or enforce disability-related legislation. The book is a unique and timely contribution to an important and rapidly expanding field of study. It will be of relevance to all those, whether lawyers or not, with an interest in disability and equality issues. Part 4: Achieving Equality Through Law? Anna Lawson is a Senior Lecturer in Law at the University of Leeds. Caroline Gooding is the Special Adviser to the Disability Rights Commission.